Davies & Associates is recognized as one of the pre-eminent E-2 visa law firms serving the United Kingdom. D&A’s UK clients enjoy access to a team of experienced US and UK qualified lawyers who specialize in assisting clients with their E-2 visa and investment visa needs. Across the US, D&A’s corporate, tax and litigation teams all support our E-2 visa clients. An E-2 visa is an investor visa that allows business owners and entrepreneurs to operate a business in the United States. 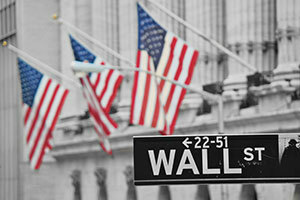 E-2 visas are also granted to employees who hold the same nationality as the principal investor. Who do D&A Obtain E-2 Visas for? Our London team work directly with E-2 visa applicants across the United Kingdom and beyond. We work with businesses of every size in multiple diverse industries. “Our goal is not simply to obtain a visa but to help our clients succeed inn the US. We will always be there for our current and past clients”. Mark Davies, D&A Chairman. While E-2 visas are available to businesses of all sizes many of our UK clients have used the E2 visa to launch a new business in the United States. Contrary to popular belief, the E2 visa can be transitioned to a Permanent Residency (a “Green Card”) through the EB1 international Manager and EB5 investor visa. Click here to go to our E-2 visa resources page. Click here to review case studies. 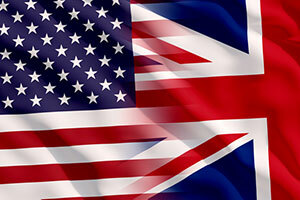 UK National E-2 visa applicants are unique in that the UK is the only country in the world where the United States imposes certain residency requirements. Generally, only British Citizens holding the right of residency in the UK are eligible for E-2 visas. British Citizens Overseas and certain other categories of UK Nationals are not eligible for E-2 visas. “Davies & Associates is clearly the leading E2 visa firm in the UK. They obtained my E-2 visa when other firms said it wasn’t possible. Based on our E-2 experience we have selected D&A as our US corporate lawyers.” E-2 visa client. D&A are experienced at guiding clients through these requirements and have been able to obtain E-2 visas for UK Nationals living outside the UK on a temporary but extended basis. Why do D&A staff each E-2 Case with both UK and US-based Lawyers? Because of the nature of the E-2 visa process, some UK visa applicants also work directly with the D&A office in the US that is most local to their proposed US business. This enables us to provide our client with US immigration services and advice in the UK while supporting business documentation and formation that are critical for a successful E-2 case in the applicable US State. Our London team work with our network of offices and lawyers across the United States and around-the-world to provide our clients with the most comprehensive service available. Why Choose D&A London for your E-2 Visa? Commonly regarded as the leading E-2 visa firm supporting UK Nationals. Featured monthly in National and International media. As of June 2017, no case we have filed for a UK National has ever been denied. Each case is staffed by a team of experienced lawyers who straddle the Atlantic. Focused on partnering with our clients to ensure their long-term success in the US. D&A is commonly chosen when a client has used another law firm and had their case denied, to-date we have been able have all these cases approved. Highly experienced and dedicated E2 visa legal team. Specialist corporate lawyers for business set-up, employment agreements and other business law issues. US tax law department to advise on proper tax structure. 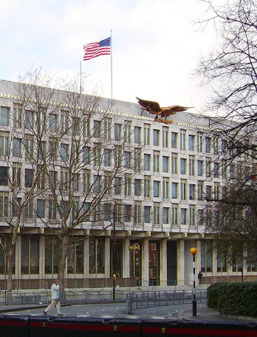 Local presence in London together with experience with the US consulate in London. No limitation on attorney hours spent on your case or questions. Able to function as an external general counsel to our clients. Present in many major US markets with the ability to support the establishment and growth of your business. D&A is itself a business started in the US by a UK Citizen that has grown to be one of the leading firms in its sector on a global basis.